You know what’s harder than becoming a doctor? Doing it while playing professional lacrosse on the side. As if actually getting into medical school, then graduating wasn’t tough enough, Roughnecks defender Curtis Manning accomplished all that during his tenure with the club. After getting his degree in Kinesiology and Biomedical Physiology at Simon Fraser University in 2009, he completed medical school at the University of British Columbia, graduating in 2014. He then moved to Calgary to complete his residency at the South Health Campus, finishing in 2016. 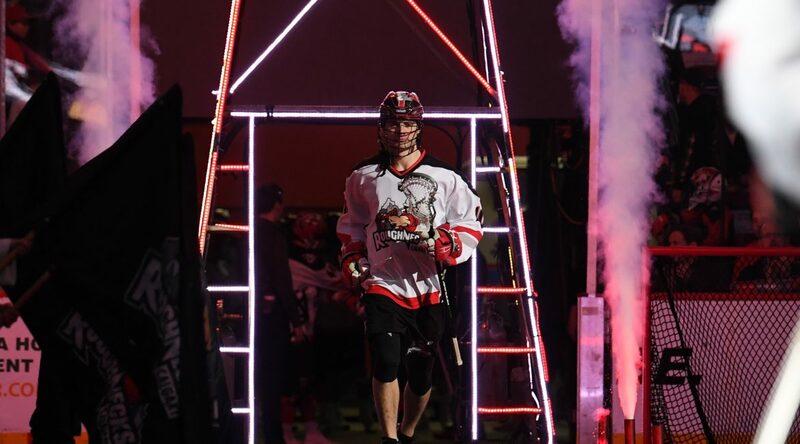 Drafted sixth overall in 2008, Manning began his career with the Roughnecks in 2010 while going to medical school, travelling back-and-forth to Calgary with textbooks in hand. Understandably, time management was a Herculean task for him. Manning said there was a lot of studying on the road, whether it be on the bus or during down time between games. He had to make sacrifices to make it work. But despite the hardships and struggles, he said it was all worth it. Now that he’s a doctor, though, things haven’t gotten much easier. When he’s not at home taking care of his 10-month-old daughter, he’s at Calgary’s Rockford Medical Clinic taking care of his patients, or at the Scotiabank Saddledome taking care of the opposition. “It doesn’t really get any easier because we have a young family but I think there is a little more flexibility with when you work and what you do but the demands have changed,” he said. Of course, doctors are always on duty and sometimes he gets medical questions from his teammates.